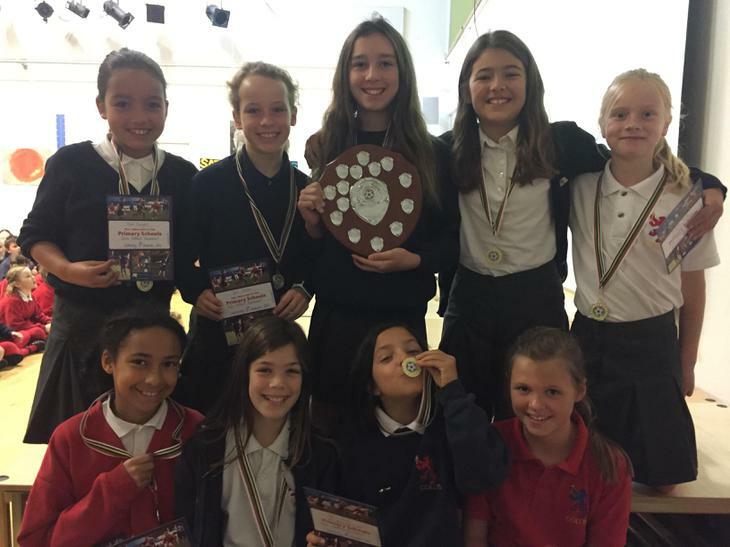 Girls' Football Tournament - Borough Champions!! On Wednesday 16 November the Collis Girls’ football team went to NPL for a football tournament. We were all nervous and excited as we had been looking forward to it for days. We were determined to win and to start really well. Our first match was against Queens and we won 3-0. Then we won 5-0 against Marshgate. We also won 1-0, 2-0 and the closest match was 0-0 against St John the Baptist. Luckily, we came first in our group so we went straight to the quarter final. We played Bishop Perrin in the quarter final and won. In the semi-final we played St Stephens, we beat them 1-0. This meant we were through to the FINAL!! We played Stanley, our toughest match yet. At the end of the game it was 0-0 so we went to penalties. We won 2-1. Collis Team: Sophie W, Gemma W, Jess J, Claudia D, Jess O, Izzy T, Amelia S, Vivie S and Naoise S.